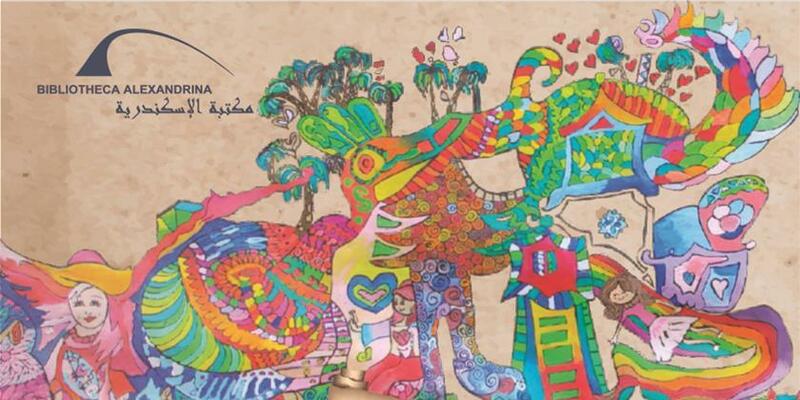 The Bibliotheca Alexandrina (BA) Child and Adolescent Creative Unit, affiliated to the BA Arts Center, is holding the 11th “Workshop Exhibition – Child and Adolescent Creativity” and “Child’s Art” exhibition on Thursday 15 November 2018 at the BA Conference Centre; East and West Exhibition Halls. The exhibitions run till Saturday 24 November. The “Child’s Art” presents the product of over two years work by children who participated in drawing classes organised by the School of Arts and supervised by Dr Asmaa Barbari. The exhibition runs under the title “World of Myth and Fantasy”, and is full of symbols that reflect the dreams and desires of children.